¾ length dress orthotics are designed for low volume dress shoes and other snug fitting footwear. The leatherette covered nylon shell with heel stabilization provides support without bulk. 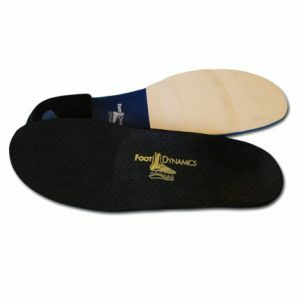 ¾ length dress orthotics are available in Men’s and Women’s styles.